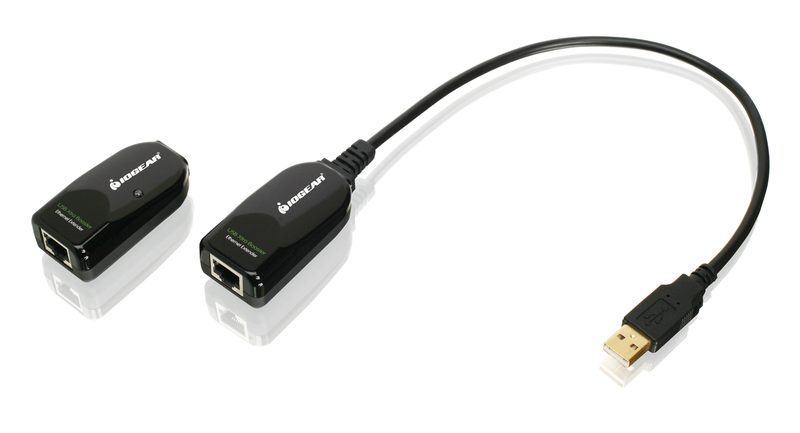 The IOGEAR BoostLinq Ethernet allows placement of USB 2.0 (and USB 1.1) devices up to 164 feet away from your computer, while still maintaining USB 2.0 Hi-Speed data transfer. 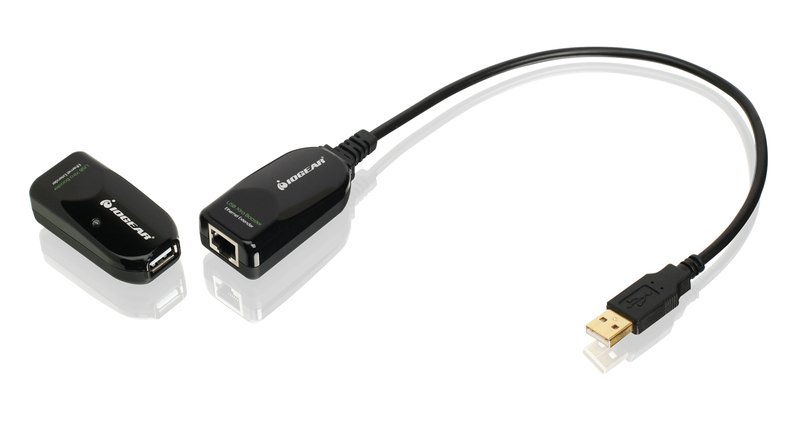 The BoostLinq Ethernet converts the USB 2.0 connection to RJ-45 which allows the signal to travel up to 164 feet over common Cat5, Cat5e or Cat 6 Ethernet cable. The peak data transfer speeds of USB 2.0 are maintained by the incorporation of a unique signal booster chipset that preserves the integrity of your data. It also maintains the voltage requirement to power downstream USB 2.0 devices such as webcams, hard drives, etc. These active repeaters ensure signal integrity is preserved over the full length of the cable, resulting in maximum performance for all peripherals. The kit includes a power supply and two dongles. The local dongle connects directly to your computer and the remote dongle connects directly to your USB device. 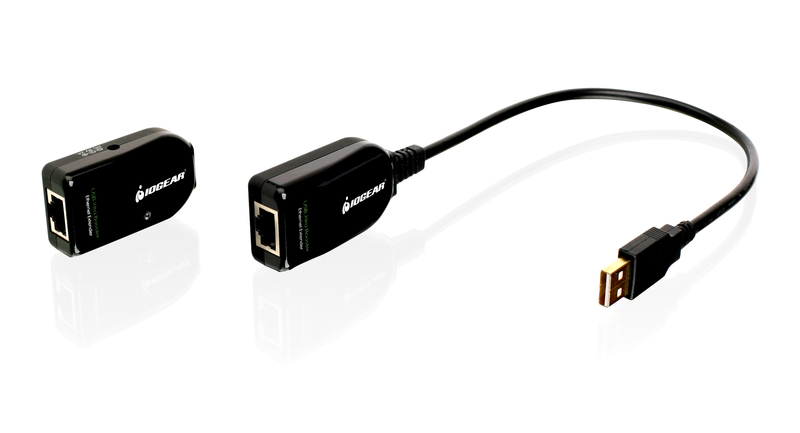 These two dongles are interconnected with Cat5, Cat5e, or Cat6 cabling (not included) to extend the USB device any distance desired- up to 164 feet (50 meters). The GUCE62 is simple to set up and requires no additional drivers to install. Compatible with devices such as webcams, hard drives, printers, scanners, smart boards, etc. Chrome OS Google Chrome OS? Cable Type Ethernet Cat 5, Cat 5e or Cat 6 required for connection between receiver and transmitter.